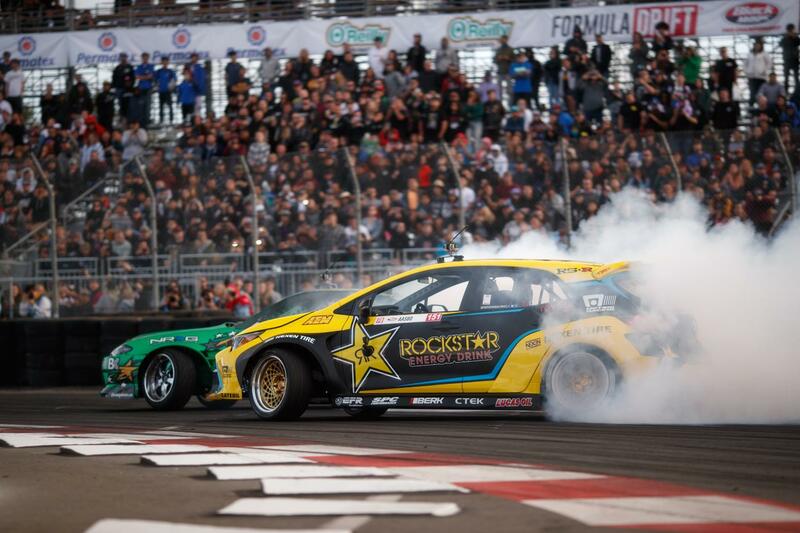 LONG BEACH, California (April 8, 2018) — Fredric Aasbo claimed victory at the 2018 Formula Drift opener on the Streets of Long Beach Saturday. 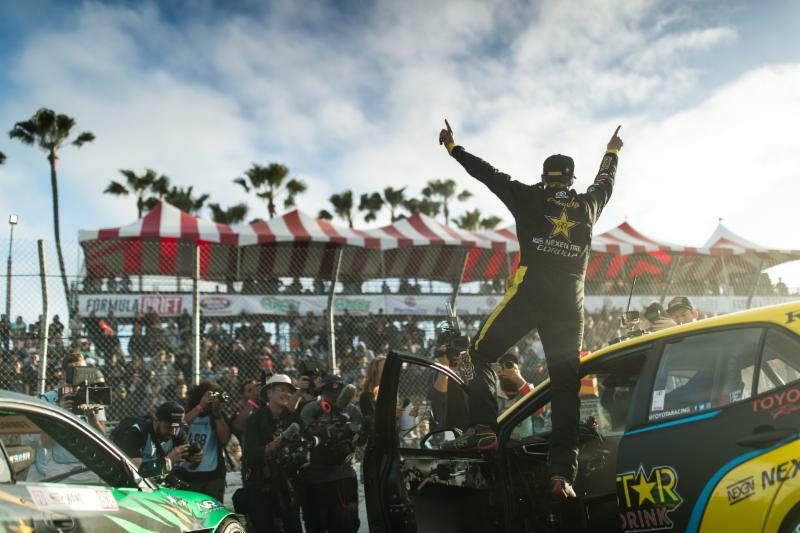 The stellar performance made the all-new Rockstar Energy Drink / Nexen Tire Toyota Corolla Hatchback an immediate winner. 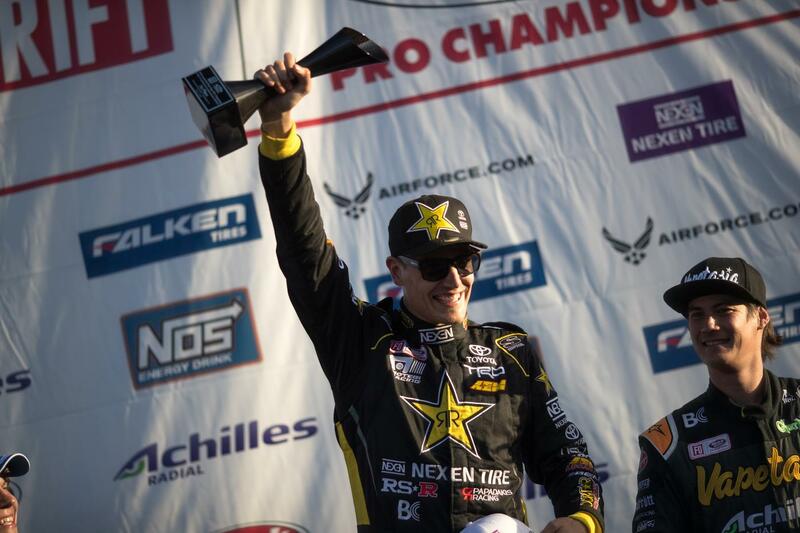 The most winning driver in the series to date, Aasbo has a record of 11 event wins and is the 2015 Formula Drift World Champion. He finished the 2017 season second in the points and says he is hungry for another title. “While the team was building our new car in the shop here in California, I was practicing. I spent the winter in Norway running ice tracks with friends and I’ve never felt more prepared to take on a championship than I do right now,” said Aasbo. 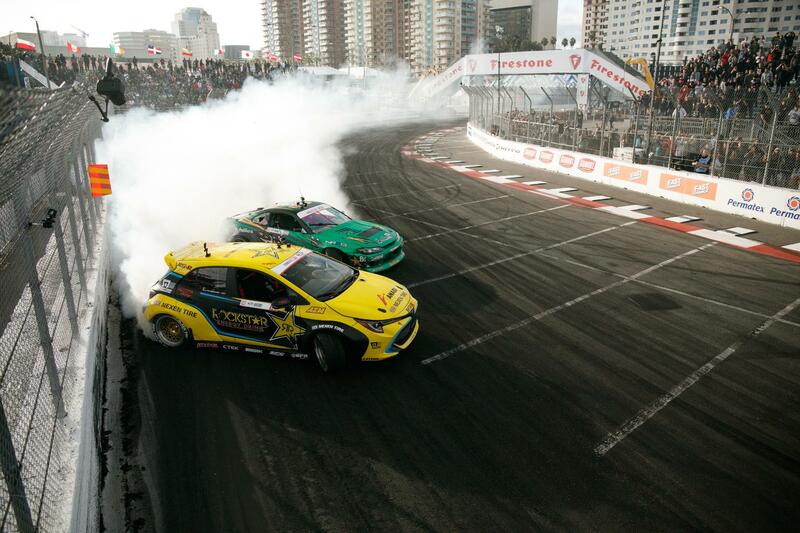 Long Beach is one of the most challenging stops on the Formula Drift calendar. Drivers must thread the needle between intimidating track walls, sliding sideways at 90-plus miles per hour through Turns 9, 10 and 11 of the Toyota Grand Prix of Long Beach street course. The event is an annual sell out that sees enthusiastic fans pack into the venue, overflowing grandstands and crowding into the vendor display and pit areas during scheduled breaks in the action. Aasbo qualified fifth, advanced past rookie Matt Vankirk in the opening round, and faced down rival Kristaps Bluss in the Top 16. He battled past Justin “JTP” Pawlak and bested 2017 Rookie of the Year Piotr Wiecek in the Final 4. The final match of the day saw Aasbo face Forrest Wang in a close battle. It took a one-more-time re-run for judges to make a decision and, as fans cheered, Aasbo got the nod to claim the top step of the podium. Toyota engineers from Japan arrived at the track on Saturday with a special finishing touch, applying an XSE badge to the competition car to give it an Executive Sport Edition designation. Papadakis Racing first revealed the all-new competition car as part of Toyota’s new vehicle launch for the Corolla Hatchback at the New York International Auto Show less than two weeks ago. 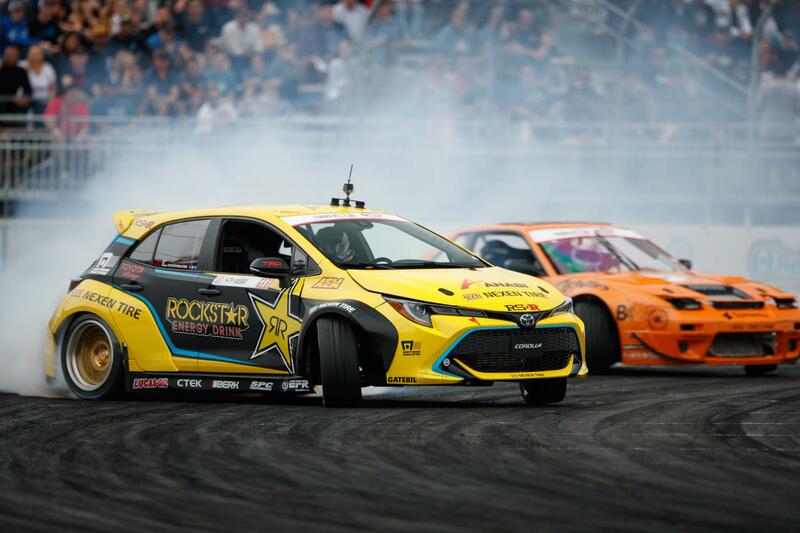 The rear-wheel drive converted Rockstar Energy Drink / Nexen Tire Toyota Corolla Hatchback produces 1,000 nitrous-boosted horsepower from its four-cylinder turbocharged Toyota 2AR engine. It is the latest build from a team that has built a reputation for challenging the status quo with its innovative competition builds.